Common denominators: Washington, DC fixtures whose lives were recently cut short. 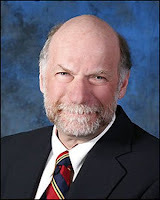 Two of them led public lives, and one of them, my friend “Hockey Steve,” led a not-so-public life as a public servant and immigration expert in the State department. We met on the stairmasters at the gym, introduced by a mutual acquaintance–Big Len–who knew of our shared passion for Washington Capitals hockey. There were many Steves in my life at that time, so I dubbed this one “Hockey Steve,” and we became great buddies – going to hockey games, watching hockey on TV, sharing dinners, and even making the occasional foray to the symphony. Hockey Steve figures prominently in my real-life fairy tale. 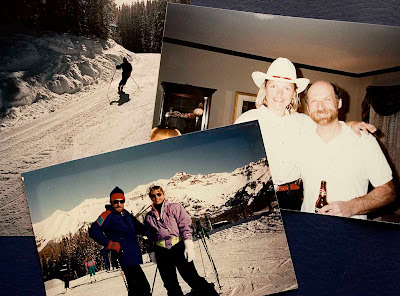 It was on a ski trip to Telluride with Steve when I hatched my plan to escape permanently from city life and all its trappings. And before I made my reconnaissance trip to New Mexico, he said, “I can’t believe you would up and leave, but if you do, I’ll buy your house.” And he did. Here’s to you, good buddy. See you on the other side. So sorry to hear about Hockey Steve, Linda. I became a hockey fan (if you can call the Florida Panthers a hockey team!) thanks to you and the Caps; so I salute Steve, too. My condolences. What an amazing story. You are truly blessed to have known such an interesting character...and he you. Had he made it down the dusty road to the 7MSN before he passed on? Linda - I'm sorry. I've lost a few friends this year too, and it leaves a little hollow spot inside you. Those are great pictures. You guys look like you had a lot of good times together. I'm always tantalized by the few glimpses we get of your former life. Sorry about losing a friend. Hockey Steve sounds like a special guy. Everyone needs a Hockey Steve in their life -- lost mine in body last year, but his spirit is forever with me, as so many others. Your lovely and personal blog is an inspiration and testimony to the art of dreaming, sacrifice, and the joys of simplicity. Thanks for taking the time out of your "real life" to share it with us... you never know what it may spark. Blessings to you and many happy trails!